"If your mountain is not in the right place, just drop us a card." 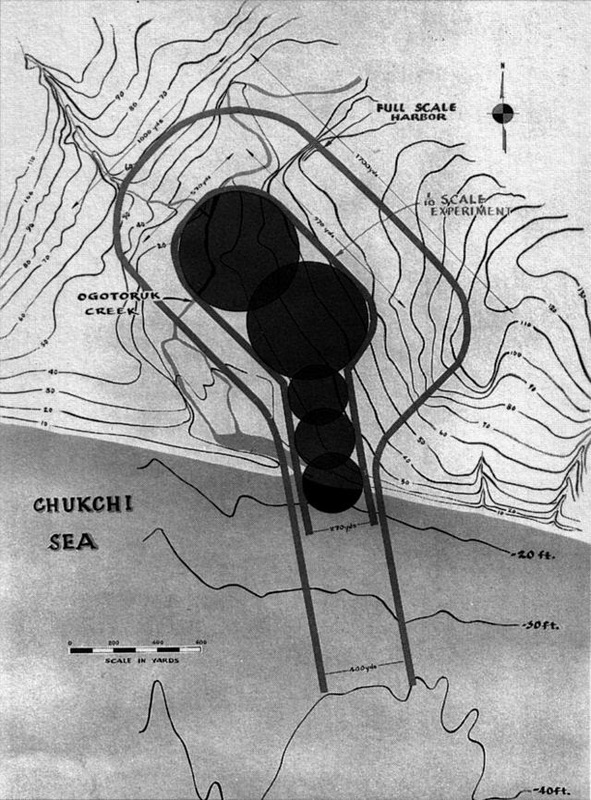 In 1958 The United States Atomic Energy Commission proposed "Project Plowshare" to detonate a 2.4 megaton series of nuclear explosions in the building of a harbor off Alaska's northwestern coast. George Washington University Professor Al Teich describes the project as part of a larger trend among scientists called "nuclear landscaping." For after the advent of nuclear weaponry, scientists grew interested in the possible ways these devices could reshape expanses of land and alter seascapes. The Alaska mission was planned to take place at Cape Thompson, about 32 miles from Tikigaq, or The Village of Point Hope. A 1961 editorial in the Anchorage Times entitled "Alaska Test Needed For Progress of Man," argued for the venture on the grounds that building the harbor in that region would create viable economic opportunities for the new state, in the way of a large port. "Such development would," the op-ed by owner Robert Atwood asserted, "stimulate opportunities for employment and better living conditions in the area now on the fringe of civilization." The Inupiat communities living in the area of the area of the Project Chariot however felt it would hold terrible impacts on their life ways and the animals of their homeland. Original scheme for Project Chariot. In the 1989 The Bulletin of Atomic Scientists article, "Project Chariot: How Alaska Escaped Nuclear Excavation," writer Dan O'Neill documented how the Chariot proposal was to be the first in a set of works in the Plowshares program that would rebuild the world through nuclear destruction. 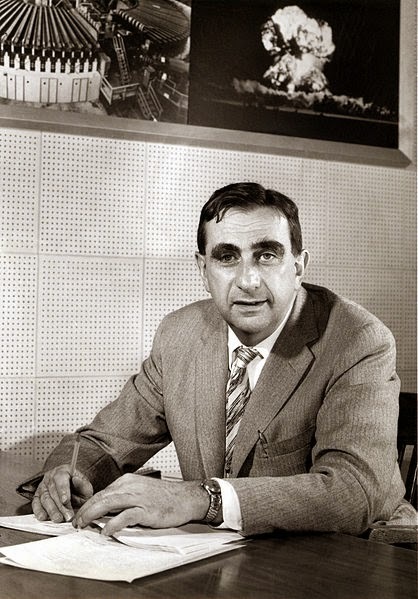 Brainchild of Edward Teller, lead Scientist at the Livermore Labs, the plowshares program would, under his guidance, (quoted through O'Neill) "engage in the great art of geographic engineering, to reshape the earth at your pleasure." Plowshares was part of a even more nationwide postwar movement to re-engineer landforms through massive endeavors, such as was the Glen Canyon Dam in southern Utah. With great concern, the region's people, along with a concert of citizens outside the area, questioned how the explosions and the following radiation would harm the environment and their communities. Looking at how such devices brought terrible conditions to Nagasaki and the Bikini Islanders, the Inupiat didn't believe the promises of safely the government gave them. According to O'Neill, village representative David Frankson argued strongly against the idea, as did all regional Inupiat and Athabaskan communities. 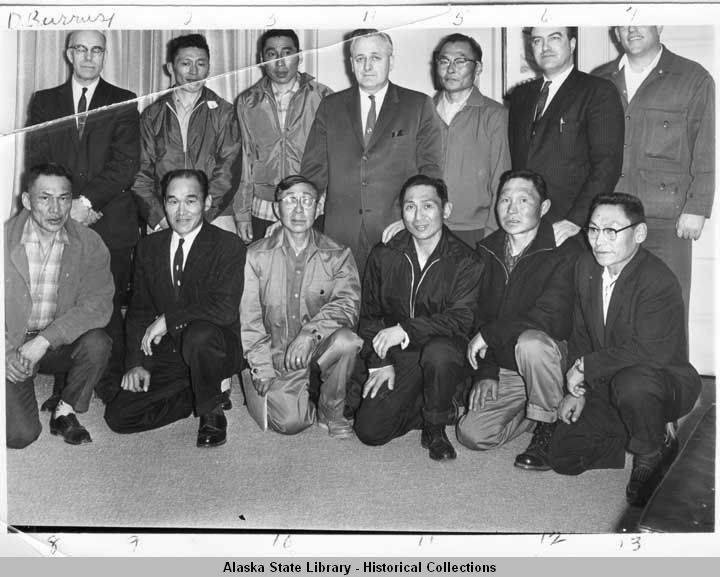 David Frankson, in glasses, pictured with a group of Native representatives meeting with Gov. Egan. The threats of Plowshare program, along with burgeoning governmental policies set to restrict Native subsistence life ways, made the Association of American Indian Affairs host the Point Barrow Conference on Native Rights in November, 1961. The conference resulted in the formation of the regional Inupiat Paitot organization, which included Frankson and artist Howard Rock. "Our Inupiat Paitot," they wrote in a statement, "is our land around the whole arctic world where Inupiat live, our right to be great hunters and brave independent people...our right to the minerals that belong to us in the land we claim." For the first time Inupiat people across Alaska formed an alliance as to express specific concerns for their rights as indigenous people. In their statement they wrote of Project Chariot, demanding a halt to the program, saying "The result of this explosion will be very dangerous to native health because of the effect of radiation on animals the people have depended on for food." The Paitot articulated the larger cycle of life at stake in Project Chariot, by connecting their health to the health of the environment. "We deny the right of the Bureau of Land Management," their statement read, "to dispose of land claimed by a native village, and urge the Interior Department to revoke the permit before the experiment goes any further." The Inupiat Paitot also expressed that such nuclear tests held transnational consequences when communicating, "We, the Inupiat, strongly protest," any such activity on their lands, "and request the President of the United States that the experiments of the Russians on their nuclear explosions be discontinued," as well. In the summer of 1962, The government sidelined Project Chariot due to unforeseen "flaws" in its design. Yet the threat levied against the Inupiat by the proposal led to a political organization, which in a year and a half, began working with the Alaska Native Brotherhood and the Dena Nena Henash forming a large scale movement to secure Native rights to land and heritage in Alaska. 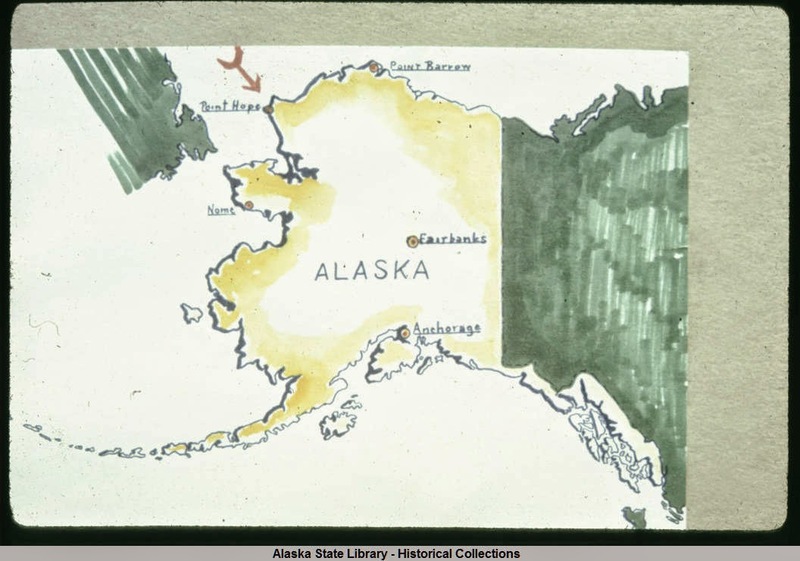 These three political groups stood as foundational to the Native rights movement of the 1960s that would work toward the Alaska Native Claims Settlement Act of 1971. Inupiat filmmaker Rachel Naninaaq Edwardson made the incredible 2012 documentary Project Chariot, where she examines the history of the project and the fight against it in much detail. The trailer below on Edwardson's Vimeo site.